Hideo Kojima may not be able to work on the Metal Gear franchise anymore, but there's no doubt it's his creation, and will forever be his legacy. With Snake making it back into Smash with Smash Bros. Ultimate, you just know that Kojima has to be super excited. That's most likely why Masahiro Sakurai went to visit Kojima at his studios! Either that, or they're cooking up some fantastical idea! Delivery Guy (from Death Stranding) ships to SMASH. These two were made for each other. They both have the egos and the monumental talent to back it up. That is way too much "mojo" for just one room. If Satoru Iwata was alive, and made it to that meeting room would explode from epicness. It&apos;s a disgrace that Snake is back in SSBU. He doesn&apos;t deserve a place. Since the NES there&apos;s only been 2 Metal Gear games on Nintendo hardware; one on console, one on handheld, both Remakes. Nintendo did all the financing and graft(Silicon Knights) to make Metal Gear Solid: Twin Snakes happen. Kojima did diddly squat for Nintendo over the years, likewise Konami. I&apos;ve said it before that Sakurai has lets his personal friendships with developers from other companies influence who appears in SSB despite them having no merit to be included. Konami could have helped Nintendo out with more games but they didn&apos;t, and now they get paid a royalty watching Nintendo do all the work while they twiddle their thumbs. Go make your own game so we can all see what perfection is. Way to sidestep what I said to throw an irrelevant remark. Way to be an entitled complainer. 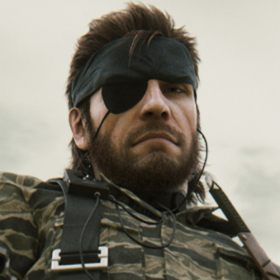 Snake has been in a few Nintendo games and is just as deserving as any guest character. That&apos;s the only requirement. The "Everyone is here!" slogan is already ruined, as is the title, "Ultimate". Everyone isn&apos;t here, there&apos;s DLC characters coming post launch. Same story for calling it Ultimate, 5 paid for DLC characters will eventually release post launch, which they&apos;re already charging for despite not saying who they are. They were talking about everyone who&apos;s ever been in smash, not everyone ever. And you don&apos;t have to pay before you see who they are. If you buy everyone its a 5 dollar discount to buy early. If you are the type to only buy characters if you like them just wait. It&apos;s that simple. It doesn&apos;t apply to 1st party characters. If a 3rd party does sod all for Nintendo over the years, which applies to some of them, then as far as I&apos;m concerned they don&apos;t deserve a place in SSB. Imagine being this sour over a video game character being included. Snake&apos;s a gaming icon, and he deserves to be in Smash Bros.
What an absolute disgrace that personal relationships, influences, likes and interests have influenced a persons creativeness. The horror! What is his secret, I want to know!